Compare data visualization tools. Includes pricing and ratings for the top 8 data visualization software companies, along with answers to common questions. Data visualization tools allow businesses to communicate data in a visual context, for example, via graphs, pie charts, and infographics. It also helps them to identify key performance indicators and make informed decisions based on data insights. What is the price range of data visualization tools? Data visualization tools range from free to $500.00 per month depending on the number of users. 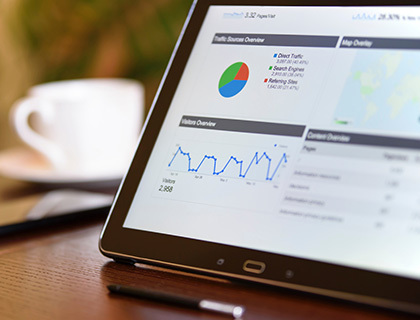 Data visualization enables businesses to visually communicate complex data that might otherwise not be noticed or understood as text information. Statistical and numerical data are commonly visualized while infographics allow businesses to communicate information about their brand in a way that is eye-catching and interesting to customers. Is there open source data visualization software? Yes, whether you need to create a simple chart or interactive online map, there is a variety of open source data visualization software with an array of features. Check out Plotly, DataWrapper, Google Data Studio, and Tableau Public. Are there data visualization apps? Yes, there is a range of apps available, such as Microsoft BI. Some providers also offer mobile-friendly data visualization solutions. Are there any free solutions? Yes, you can check out our article on free data visualization tools.